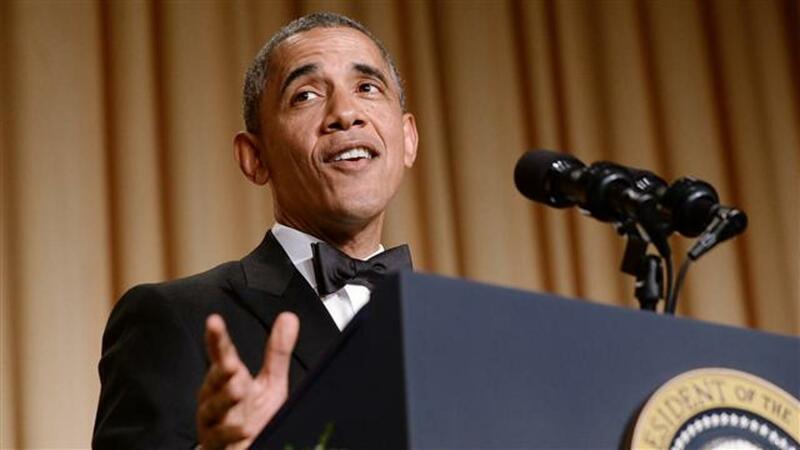 With seven performances under his belt, U.S. President Barack Obama will try one last time to bring the house down at the annual White House correspondents' dinner on Saturday, a night of playful ribbing of both politicians and the news media. For Obama, who is scheduled to speak around 10:20 p.m. ET (0220 GMT Sunday), it will be his final correspondents' dinner as a sitting president. Comedian Larry Wilmore, who hosts a show on the cable outlet Comedy Central, will take to the podium after the president's remarks. Republican presidential front-runner Donald Trump, who won't be at the dinner, could surface in Obama's monolog.